OTTAWA -- Under the California sun, Canadian Transport Minister Marc Garneau pressed a button to let a car take him for a spin as part of a joy ride that was more business than pleasure. While much attention this week went to Prime Minister Justin Trudeau's trip to Washington and Mexico to save North American Free Trade Agreement talks, Garneau and two senators quietly travelled to Silicon Valley to meet officials from one of the world's biggest tech companies. The race to put more self-driving cars on North American roads has meant Garneau is now moving quickly to craft regulations so his government doesn't fall behind the curve, even if the technology may not be fully ready for another 10, 20 or 30 years. Garneau has already travelled to Waterloo, Ont., as part of that work, but he and his team made the decision that it was important to go to the epicentre of the technological change at Tesla's facility near San Francisco. On Thursday, a day after Garneau's test drive at Tesla, BlackBerry QNX tested an autonomous car just outside Ottawa in what was billed as the first on-street test of an autonomous vehicle in Canada. On the day Garneau met researchers from Stanford University and executives from Tesla and Proterra, which makes electric buses, California's government released revised regulations that could pave the way for self-driving cars to be on the state's roads next year. Florida legalized fully autonomous cars for road use last year. Nevada has done the same and is looking to connect companies with local researchers with an eye towards economic development. Other jurisdictions are looking at similar measures to lure tech companies away from Silicon Valley, which made Garneau's trip part trade mission. "What I did bring up is that Canada had quite a bit to offer in terms of engineering and research," Garneau said of his visit to Tesla. "With our capability that is established in Canada, particularly in Ontario and in Quebec, there is the possibility that Canada could contribute if Tesla made the decision that it wanted to expand its manufacturing." Whether that happens is now an even greater unknown. 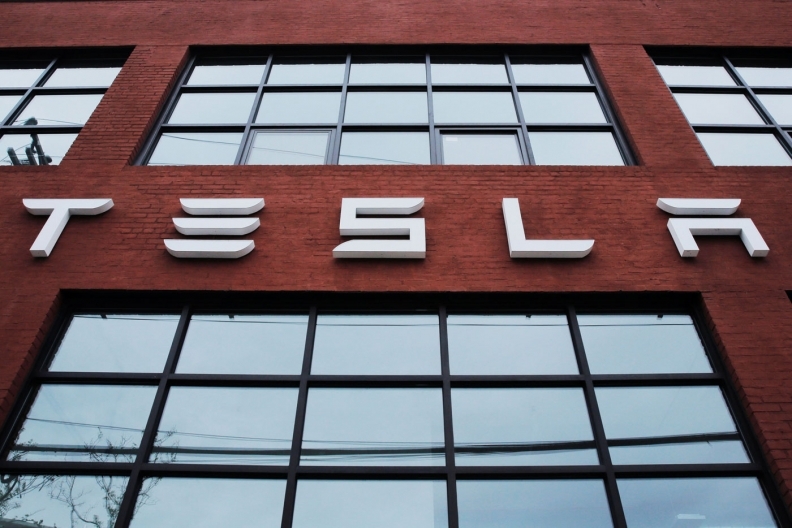 During the same week Garneau was visiting Tesla, the automaker fired about 400 employees, including associates, team leaders and supervisors, according to a local news report and a former employee. The dismissals were a result of a company-wide annual review, Tesla said in an emailed statement to Reuters, without confirming the number of employees leaving the company. At Tesla, Garneau’s talk largely focused on the availability and location of charging infrastructure for electric cars, as well as potential purchase or tax incentives for consumers or companies. Both issues will likely be addressed in the Liberals' planned zero-emission vehicle strategy set to be released next year. "We're on the right track," Garneau said of the strategy in a telephone interview. "I think we're zeroing in on the things that we need to do." There were also discussions about safety and privacy issues with self-driving cars, two key issues the Senate's transport committee is looking at as part of a study about autonomous cars, which Garneau asked for. Sen. Michael MacDonald, the committee's deputy chairman, said while the technology on display in California was impressive, the automated vehicle is still very much a work in progress. "There's a lot more to do there and figure out," the Conservative senator said.